While our vinegar tincture from this post is busy infusing, I thought I'd share this quick and easy how to with you. It contains a mere 3 ingredients – one of which I know you have already guessed. 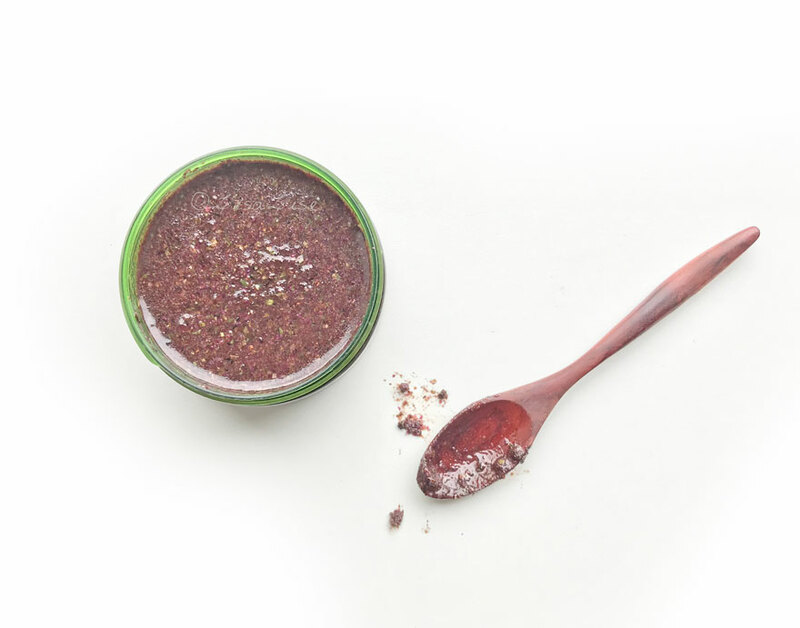 Are you ready to make your own rose exfoliant? This exfoliant starts with your own rose-infused oil, so if you don't happen to have one brewing, you can learn how to make one right here. If you happen to have read this post, you will know I have been making rose-infused oils for many years. With that in mind, I'm almost embarrassed to tell you this next part. To date, I have been discarding the spent plant material after straining the infusion. But this last batch came out with a heavenly rose fragrance. It became physically impossible for me to toss the spent material. I tried several times until it hit me: Repurpose! So instead of tossing the roses, I turned them into the fragrant exfoliant you see above. 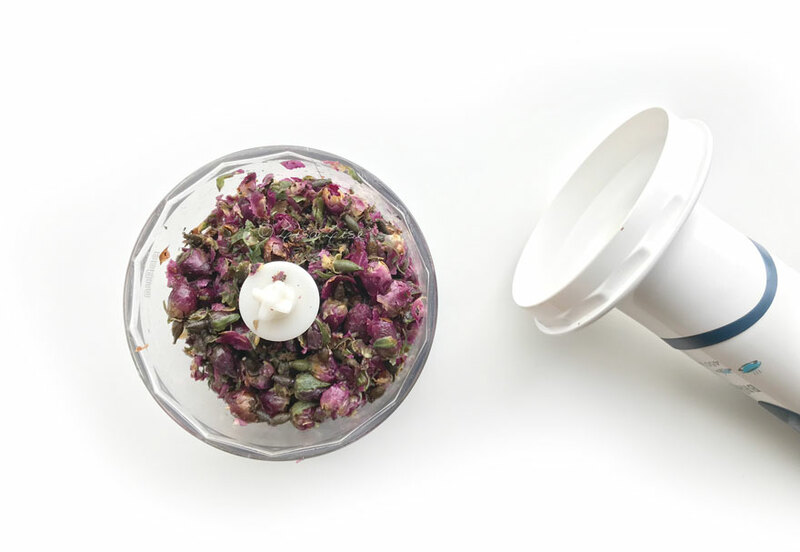 After straining your oil infusion you should have a muslin cloth packed full of roses with some residual oil. 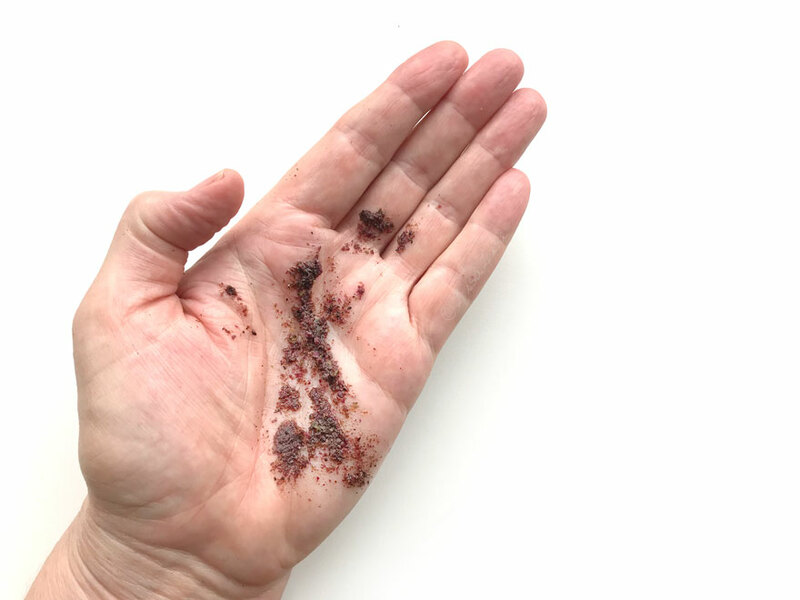 This exfoliant can be used solo as a lovely hand exfoliant, but if you stick around, I'll show you how to use it as an ingredient in a lovely bath product soon. Here's what it looks like straight out of the jar. If you follow me on instagram you may already have seen this little live action demonstration embedded below. What do you do with the spent plant material from your oil infusions?